Masha Reads – A blog on book recommendations, book reviews, books, books, and books. Everything Books! A blog on book recommendations, book reviews, books, books, and books. Everything Books! A review on the amazing work of Ernest Hemingway. 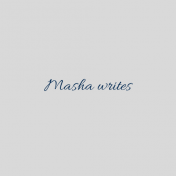 Masha Reads, Proudly powered by WordPress. "To be in 1% you have to do what the 99% won't"
My thoughts on books, reviews, literature, and writing.